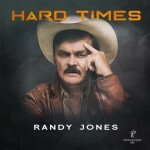 RANDY JONES, an actor, author, American Music Award winner and multi-platinum recording artist, is the original Cowboy and a founding member of Village People. In his career spanning four decades before, with and since Village People, he has sold more than 100 million units and garnered in excess of a quarter billion views on YouTube. Perhaps best known for his hits with the group, like "Macho Man", "In the Navy", "Go West" and "Y.M.C.A," he has earned 75 Gold and Platinum record certificates, toured worldwide, starred in the camp classic film, "Can't Stop the Music", made the cover of Rolling Stone Magazine and in 2008, was honored with a star on Hollywood’s Walk of Fame.